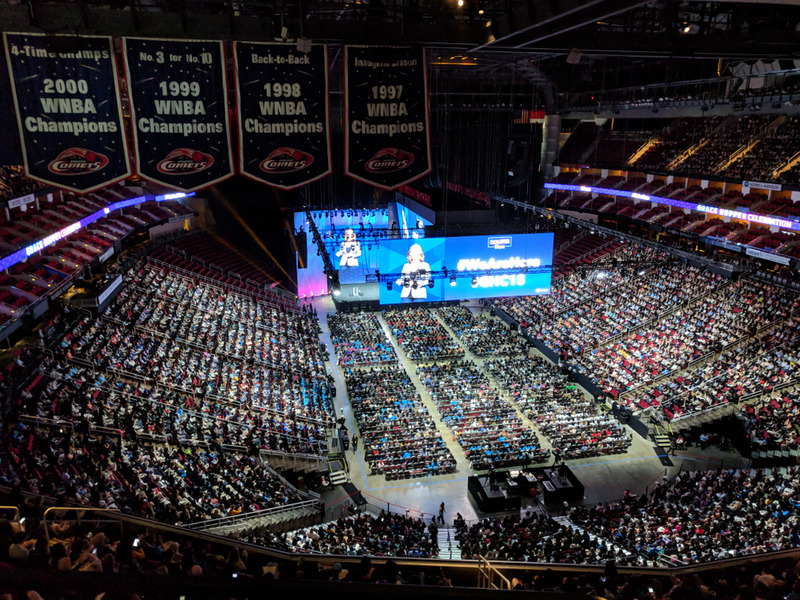 This past week, 20,000 people gathered at the Grace Hopper Celebration for Women in Computing in Houston, Texas for three days of learning, networking and inspiration. 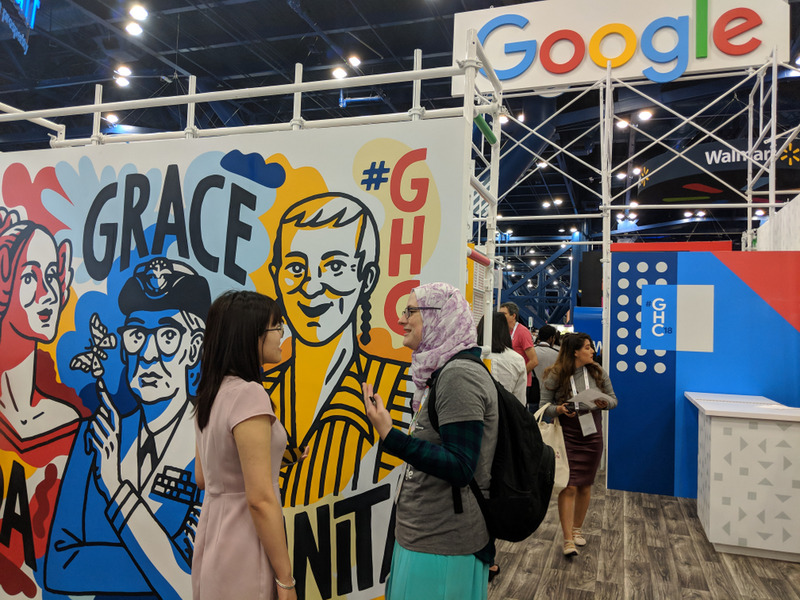 While 20,000 is quite a large number, there are many of you who could not join us in person … so we’re taking you on a quick journey through ten rooms at #GHC18. It should be noted that this particular path just scratches the surface, and we wish we could have been in more than one room at a time, but alas, time travel has yet to be invented (although, we wouldn’t be surprised if the woman who figures it out was at Grace Hopper). Again, the room is buzzing. Hundreds of booths line the room the size of an airplane hanger. You make your way to the Google booth where you meet a Google engineer and ask about what her day to day looks like. You chat with a recruiter and go over your resume together. You meet a former Google intern (current Googler) and ask about her interview experience. 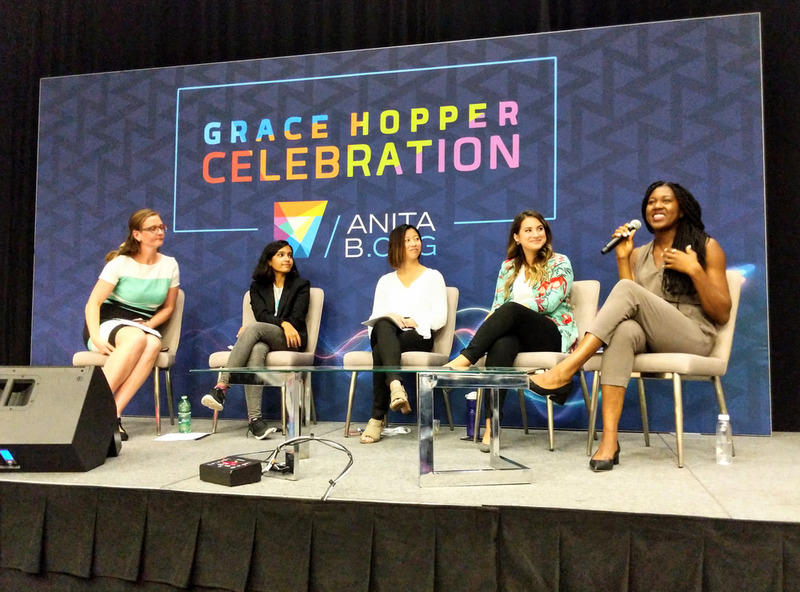 You score some swag—a new Ada, Anita, and Grace poster for your wall and #GHC18 pins to adorn your bag. You’re about to head out when you spot the YouTube booth. 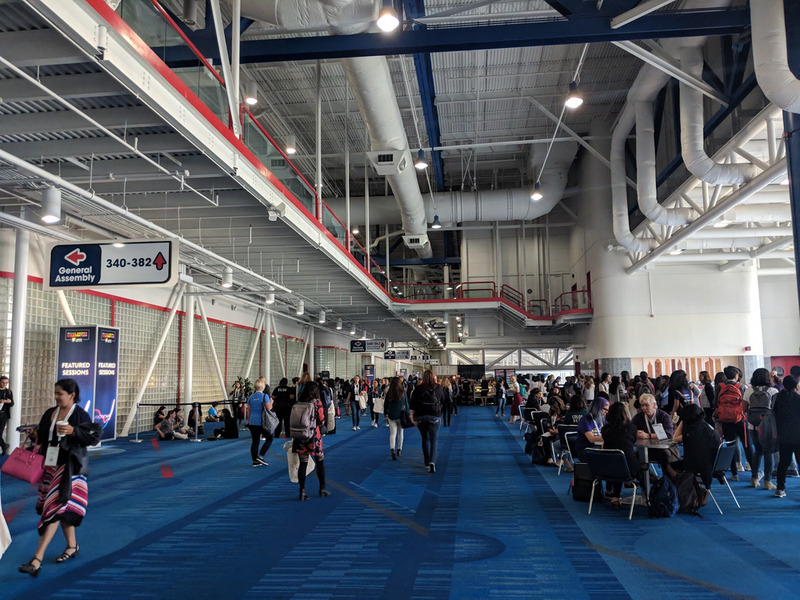 You’ve found perhaps the smallest room at #GHC18. 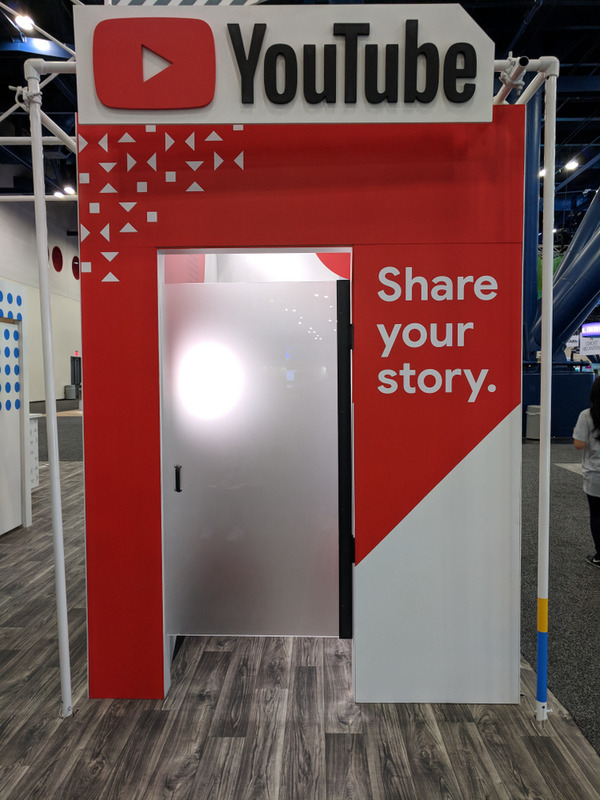 You take a moment to yourself in the YouTube video booth and record a video sharing thoughts on your Grace Hopper experience and your advice to other women in tech. You make a note to upload the video to your YouTube channel later. Can’t disappoint the fans. You walk down a seemingly endless row of booths and come across something that looks like a small house or garage. You head inside to find Google’s hardware on display. It’s all been taken apart so you can see what goes on inside. You “OK, Google” your way through different devices, learning about how they work and the women behind the products. Before heading out, you get your new headshot taken with a Pixel 2. You nail it. While not technically a room, we gotta talk about these. They are PACKED. You make your way through the crowds of people all rushing off to different sessions, interviews, career chats, panels, and workshops. You brush shoulders with CEOS, founders, engineering directors, award winners, and inventors. These are your peers. As the days go one you’ll begin recognizing more and more faces of people you’ve met. At the end of day three, check your steps and note that you’ve covered almost ten miles in these halls! 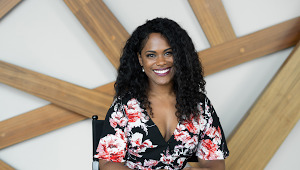 You duck into numerous sessions, panels, and talks featuring countless women who are experts in their fields. 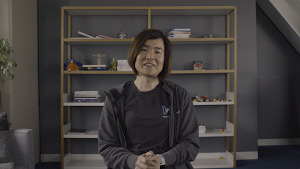 One minute you’re learning about how artificial intelligence is used to create original works of art and the next you’re absorbing how to foster and build a strong community for women in tech in your hometown. You furiously take notes and pick up on nuggets of advice, writing down one last quote before moving on. “Those changes we have made are not here forever if we don’t keep nurturing and growing them,” Michelle Duffy, Google Site Reliability Engineering Director and GHC18 speaker. You enter an air-conditioned tent in the middle of everything going on outside. 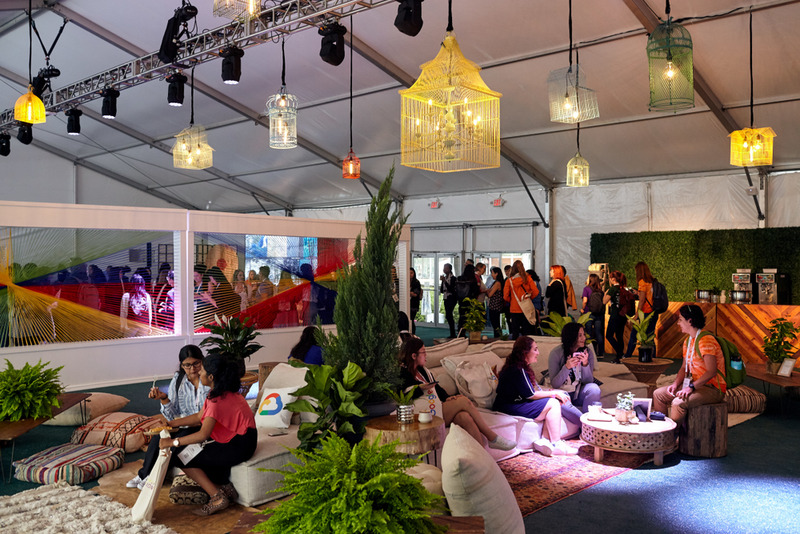 You grab some snacks, meet new friends, and decide to circle the room and check out the various installations. You learn about the building blocks of AI, then add your mark to a mural of Grace, Anita, and Ada. Before leaving, you take a quick trip around the world at the Google Earth wall and get a close up of a Google Maps Street View car. A few miles away, the night time events are getting started. 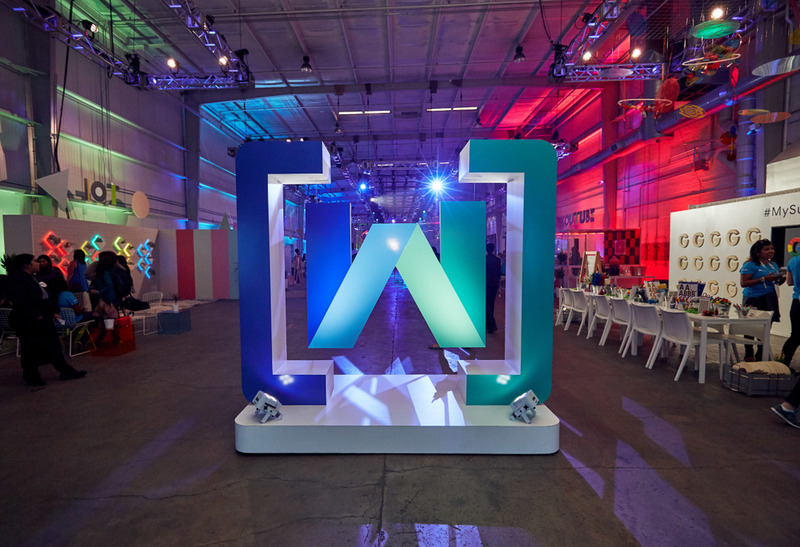 You walk into the warehouse where the Women Techmakers event is being held. You make your own Super G. You belt out karaoke in the YouTube living room and are thankful for soundproofing. You sneak a workout in by lifting life size Light Bright pieces, playing motion activated video games, and dancing with your new friends. You sleep. You dream up your next invention/website/app/world changing idea (time travel?). As you get to your gate, you spot strangers with the same shirt as you, holding the same posters you have tucked away in your bag. You are no longer strangers. You’re connected by the shared experience of Grace Hopper. 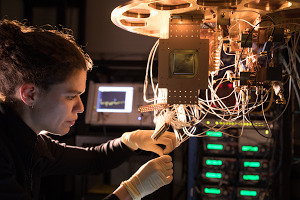 There are more women technologists out there than you realized. You remember how much you belong. You set a reminder to register for #GHC19.